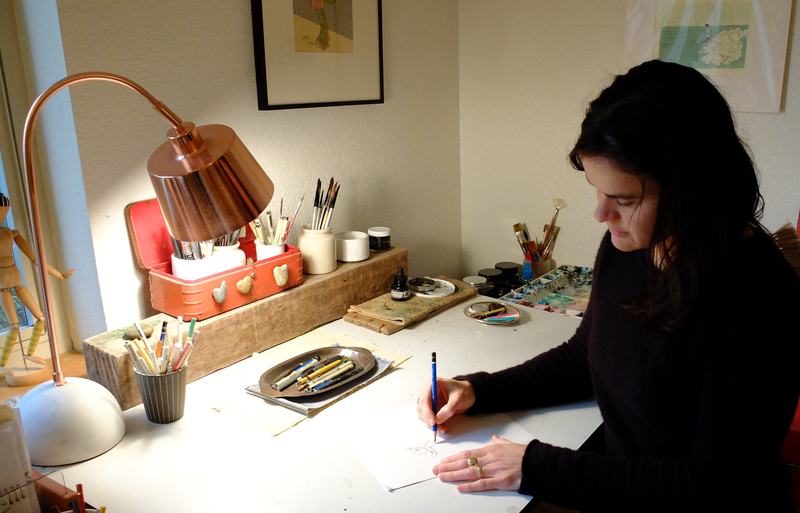 Corinna Luyken is the author-illustrator of THE BOOK OF MISTAKES, which received four starred reviews and has been praised by Entertainment Weekly, the Wall Street Journal, NPR, and more. She also illustrated ADRIAN SIMCOX DOES NOT HAVE A HORSE, written by Marcy Campbell. And is the author-illustrator of the forthcoming MY HEART. She lives in Olympia, WA with her husband, daughter, and two cats. WEIRD LITTLE ROBOTS, Fall 2019, written by Carolyn Crimi, Candlewick Press. NOTHING IN COMMON, written by Kate Hoefler, Fall 2020, Houghton Mifflin Harcourt. SOMETHING GOOD, written by Marcy Campbell, Fall 2021, Disney Hyperion. THE ARGUERS, Spring 2022 Dial. 2018 PNBA Book Award for The Book of Mistakes. 2015 Don Freedman Work In Progress Grant: For 'my heart, my heart', SCBWI International. 2015 Portfolio Showcase Award: SCBWI International Conference in Los Angeles, CA. 2015 Grand Prize Winner: SCBWI WWA Portfolio Showcase. SCBWI Western WA Conference, Seattle, WA. 2014 Second Runner-up: SCBWI WWA Juried Portfolio Show. SCBWI Western WA Conference, Seattle, WA. 2013 Illustration Portfolio Mentee Award: SCBWI Inernational Conference in Los Angeles, CA. 2000 Poetry Fellow: Stadler Center for Poetry, Bucknell University, PA.
1999 Student Scholarship Award: Breadloaf Writers Conference, Ripton, VT. Some of Corinna's paintings can be seen on the set of the Universal Pictures film Baby Mama.